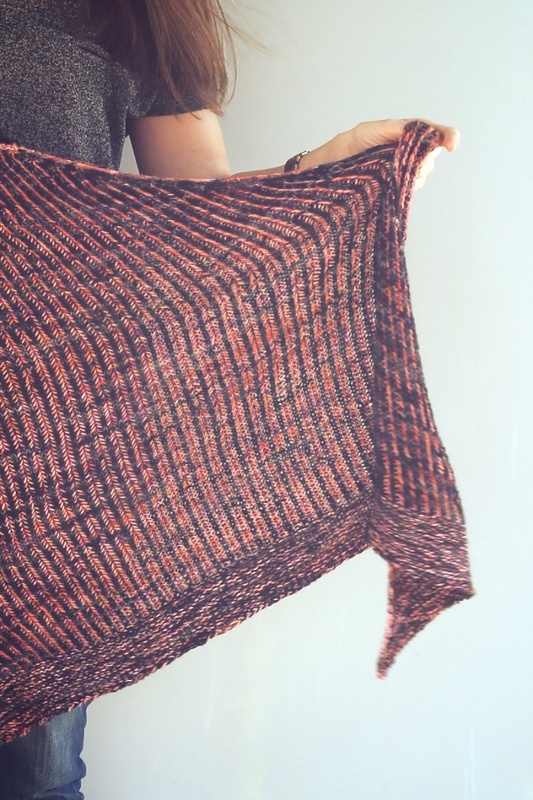 I finished it, a giant shawl of just brioche stitch! I feel like I could run a marathon, or try a back flip. I will probably just waller a hole in the couch, watching a podcast and eating dark chocolate, but the point is I can do anything! I've been needing to learn this for so long, but I always had something else that needed to be knit or I didn't have the brain space for new techniques. This summer, I made the room for it and cast on my Marley, by Andrea Mowry. Then I promptly forgot while working on the Summer Sweater Knit-along and had to re-learn it a few weeks ago. Hopefully, I will keep it fresh on my mind for a while by knitting some other designs that incorporate the stitch pattern: What the Fade, Exploration Station, etc. I'd link you to the photo tutorial I used to get this straight, but it's long forgotten. That's okay, I'm sure you have already mastered brioche by now. I held out for a long time. This is the squishiest. I now totally see why every knitter is crazy over brioche. I think I prefer the darker side of mine. 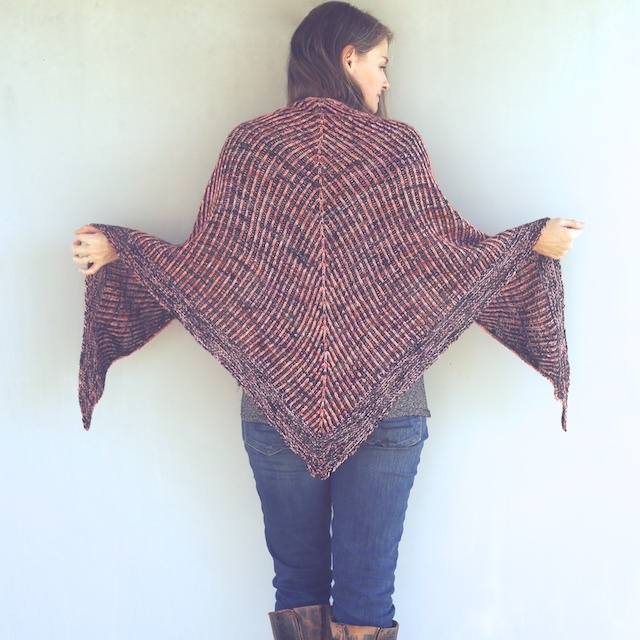 I love the simplicity of this shawl design, once you learn the stitch. It's meditative and can look vibrant in high contrast colors or subtle in neutrals. 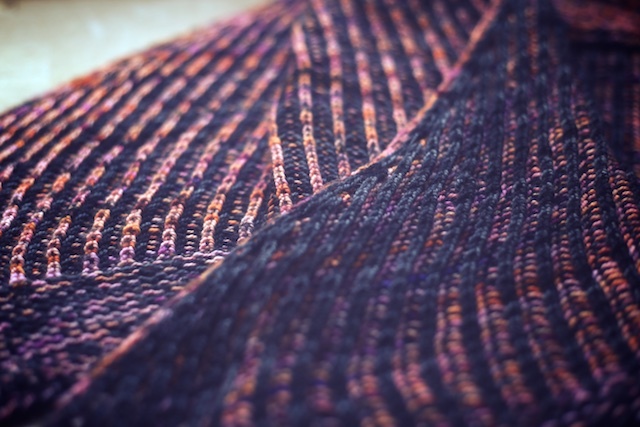 I am also crazy about the marled, garter border too. 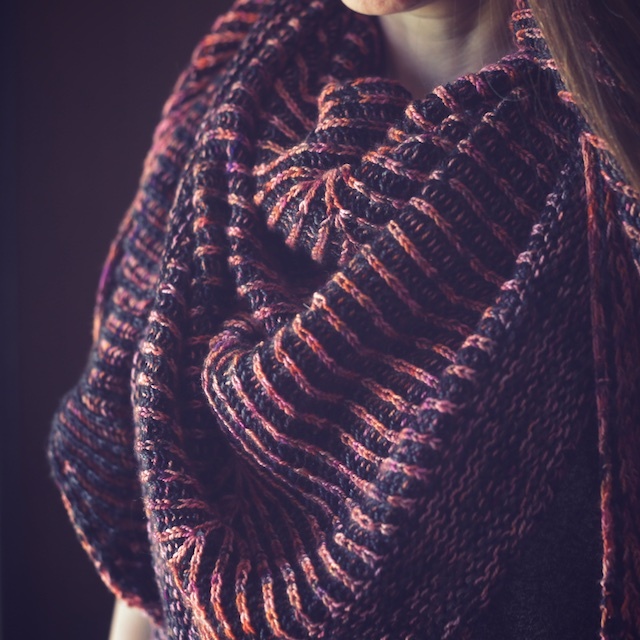 It was the most satisfying way to finish an all-over brioche project. 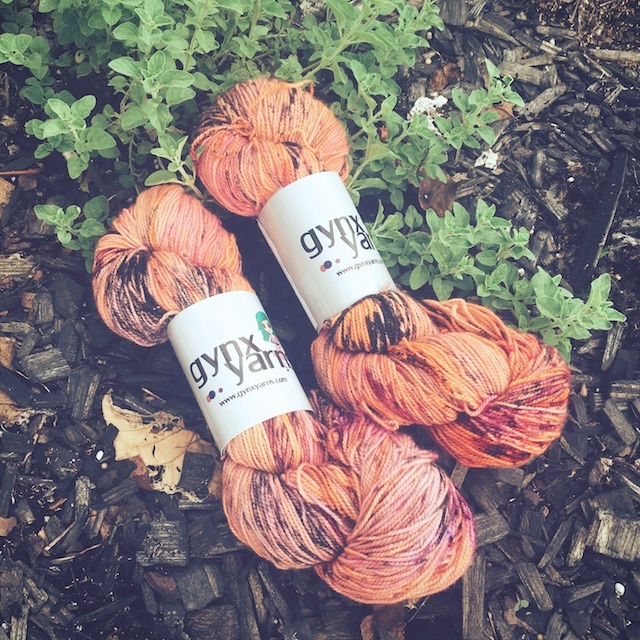 I saved money by combining variegated, indie-dyed skeins with a more affordable tonal colorway. The pinkish orange and black looked so good together, without being too Halloweeny. Details: I used sizes US 2.5 and 4 needles with 2 skeins of Gynx Yarns Strong Sock in Sunset and 2 skeins of Knit Picks Hawthorne in Blackbird. I remember hearing that brioche can look sloppy if it stretches out too much with blocking, so I tried for a nice, tight tension to begin with. 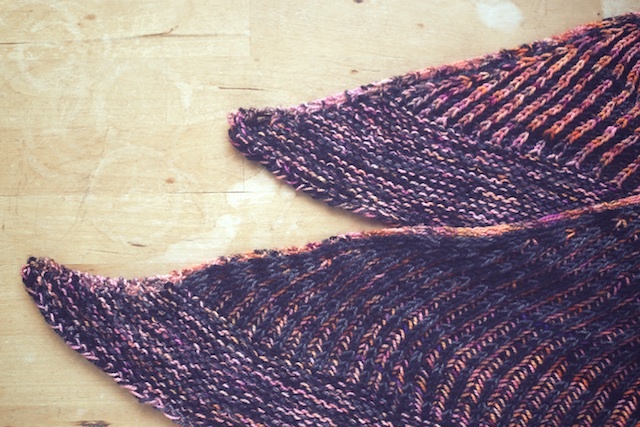 1) It helped me to remember which side of the shawl the increases were on- whether dark or light. 2) I kept track of my increase rows by counting the number of rows between the hole made by the last center increase to the point where I was about to make another center increase. I kept in mind that there should only be four rows between the "holes". 3) All Sl1yo's begin to the front of the work, whether the stitch worked after it will be a p2tog or k2tog. 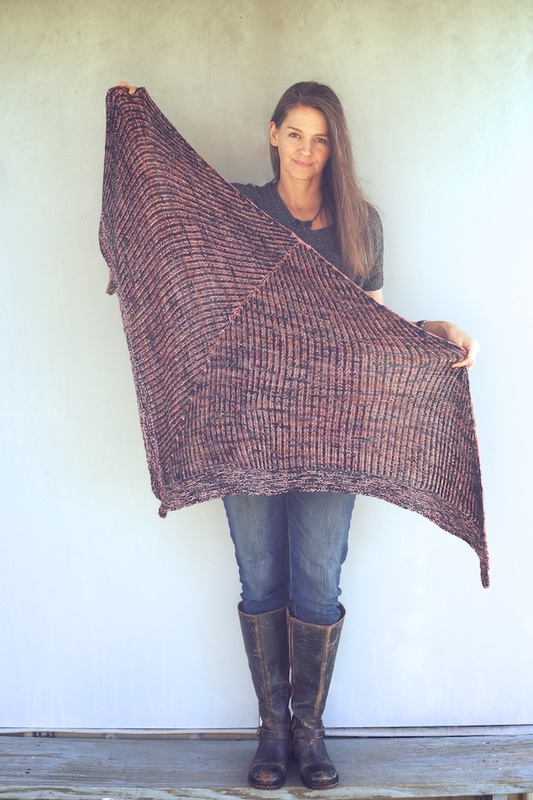 If it is a p2tog, then I must wrap my yarn from front to back, around the stitch to make the "shawl" around it. Then, I p2tog. So the trickiest part is to not forget to bring the stitch forward, no matter what, before a sl1yo. Did you get that or did it just read like the sound made by a test of the Emergency Broadcasting System? Don't worry, I've already forgotten what all of this means, too. So, I saw Stacy of StressKnits' color combo for her What the Fade and fell in love with it. 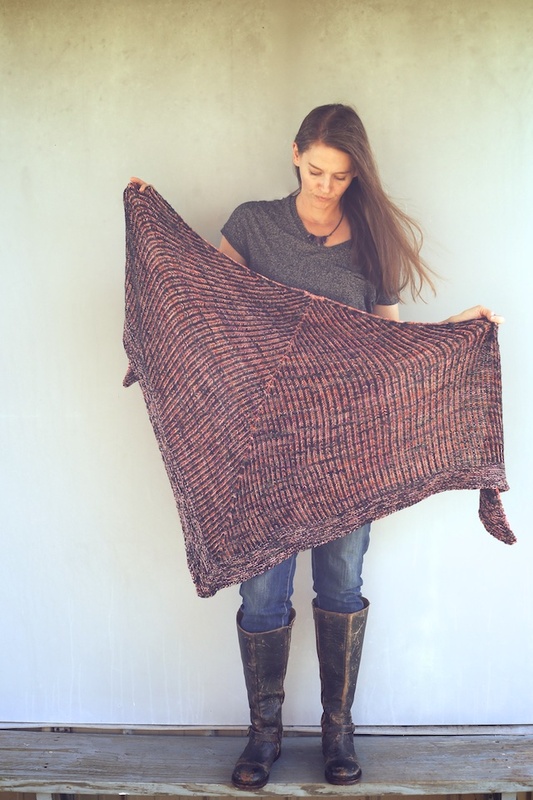 But, there's no way I needed to buy 5 skeins of indie-dyed yarn to make one brioche shawl. I did, however, already have one of the colorways she included, Sweet Disposition, and she was having a Black Friday sale, so I picked up I Smell Snow and My Jam. I think I can fill in the color palette with some skeins already in my stash. I am hopeful it will have the same calming vibe. So that's one skill off of my To Do list. I still have to steek, but that just doesn't sound as exciting as brioche, so.. meh, it will happen when it happens.